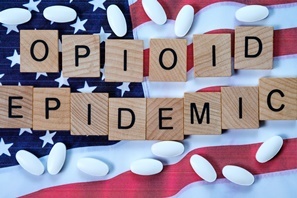 “Our number one goal is to save American lives, and this comprehensive plan reaffirms President Trump’s commitment to addressing the opioid crisis aggressively and in partnership with our partners across the nation. We must be relentless in our efforts to tackle the scourge of addiction that has affected so many families and communities across the United States. The Strategy builds upon our current whole-of-government approach that educates Americans about the dangers of drug abuse, ensures those struggling with addiction get the help they need, and stops the flow of illegal drugs across our borders,” ONDCP Director Jim Carroll said. Read more.